Oh God -- not this thing again! I don't wanna be an astronaut, Mom! PS: I am still trying to raise money for the Paws for Peace walk, helping Harbor House of Central Florida, domestic violence victims and their pets. The walk is this Saturday. If you can donate money, please help. If you can spread the word to your followers, I'd appreciate that too. Whew! The last couple of weeks have been busy! First, we got lots of donations for the new Paws for Peace kennel with our Doggy Day Out Orlando event. 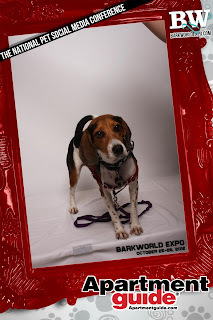 And then Lulu and I had a blast at Barkworld Expo in Atlanta! Right now Lulu and I are trying to raise money for the Paws for Peace Walk, which is this Saturday in Orlando. The walk is hosted by Harbor House of Central Florida, which is a shelter for domestic violence victims. This is the third annual walk, and it's meant to help both victims and their pets. Back in June when hurricane season started I wrote a post about preparing your pet for the season. Sandy is now bearing down on the northeast, and weather reports say people as far away as Chicago will eventually feel the storm's effects. So I wanted to push this post up again, and highlight some points that might help people keep their pets safe during and after the hurricane. 3) Travel dishes. If necessary, whatever you need to serve canned food. 4)Water. The rule for humans is one gallon per person, per day. How much does your pet drink? Maybe not that much, so maybe half a gallon per pet, per day. 5) Treats. Your pet is as nervous as you, if not more. Treats are a welcome distraction, and bring a touch of the familiar. 6)A favorite toy. Does the same as the treats. 7) Favorite blanket, pillow, towel, bed, etc. 8) Puppy pads, litter or newspaper -- because walking the dog may not always be possible. 9)Bags, paper towels, etc. for clean up. 10) Whatever medications you may need, and first aid stuff too. 11) Crate, cage, leash or whatever you use to transport the pet in the event you have to go. Get your home and yard pet-storm ready. You board up the windows (don't duct tape the windows, it does nothing), bring in the patio furniture, trim the trees, clean the gutters, etc. Also, cover pools, turn over any containers that may get filled up with water (bird baths, buckets, planters, plastic pools). Bring outdoor pet food/drink containers in, and the dog house too if you can. You don't want dogs to drink the water when the storm is over. And this water will breed mosquitoes and other bugs in the days to come. It may also harbor bacteria that will make them sick. Rain water isn't the real concern here though, so much as flood water. Stay in your safe havens. These are places without windows, preferably. Also avoid turning electronics on if you can. And make sure there is something in that safe haven that comforts the pet -- a toy, a blanket, a bed, etc. Mind your children. Know how to calm your pet if they start to get nervous, or worse, freak out. If you have a pet who is nervous or upset from the storm, they may not have as much patience for a rambunctious child. They have to know that the pet needs to be left alone, or treated gently at the very least. Keep them distracted. Just as your child will need some distractions during the storm, so will your pet. Toys are good for that. Keep Calm. Pets sense your stress, your fear. By keeping calm, you help them keep calm. Do NOT give your pet tap water. Even if your home has water, it may need to be boiled before its drinkable. Don't use that water for drinking or bathing until you know it's safe. Do NOT let your pet out of the house unsupervised. Even if a quick glance of your backyard shows no major issues, it's not safe to let your pet out until you know there's no place they can get hurt. What about downed power lines, exposed cables, pieces of wood, metal, shingle, glass that came off something during the storm that ended up in your yard? Are there any places where the pet might take a lap of water? Any bedding, dishes, or other pet items that came in contact with any flood water needs to be thrown out. Don't let the pet touch it. Avoid dog parks. Your pet's favorite park may be a hazard after a storm for a few days. Bugs, puddles, fallen tree limbs. Give it a while before you take your pet to an off-leash park, or at least make sure it's cleaned up first. More tips can be found at the National Hurricane Center website, and the ASPCA website. 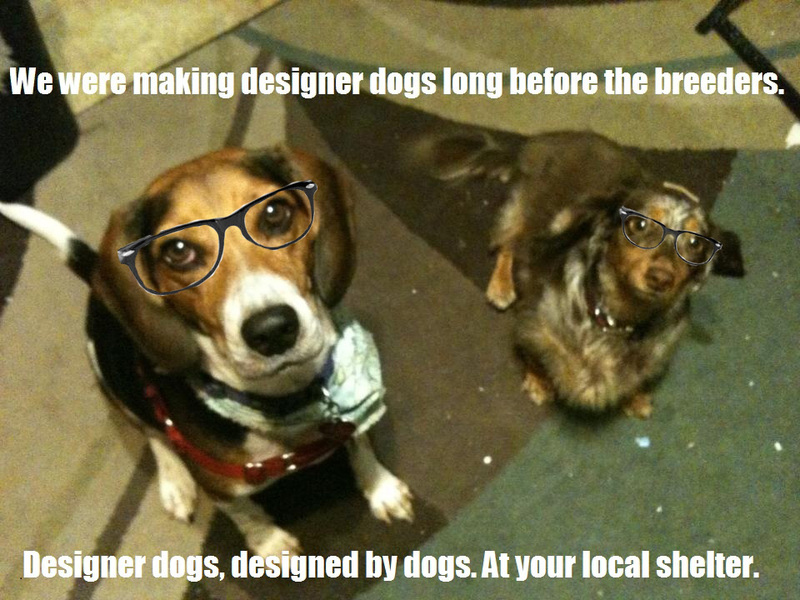 From all of us at Life with Beagle, to everyone in the path of Hurricane Sandy: Stay safe. It will be over before you know it. Pretty awesome, huh? 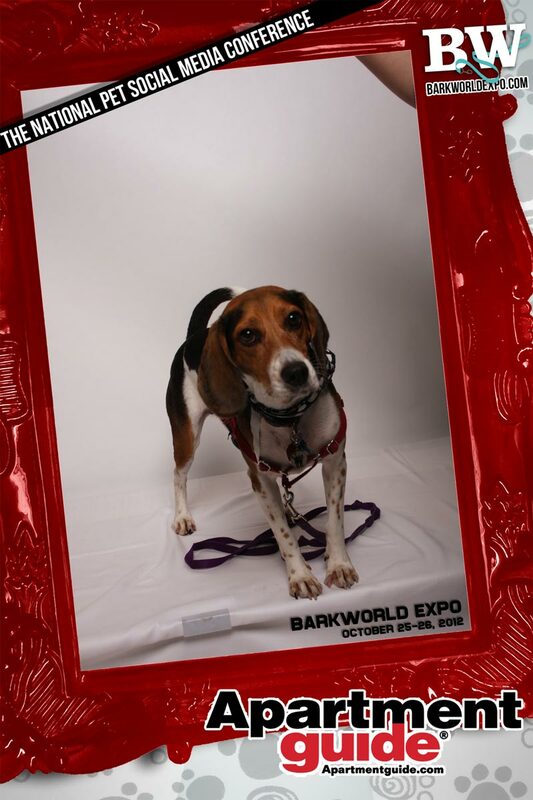 Lulu took this at Barkworld tonight! We are having an awesome time learning how to make our blog better, how to reach more of you, and how to help more people in our community. I'll have more once the event is over. And look at all the great doggy swag we got after just one day! We're going to be talking about all kinds of stuff in the coming weeks! Lulu and I have finally registered for the Paws for Peace walk in Orlando Saturday, Nov. 3. We are walking to raise awareness about domestic violence, and to hopefully help end abuse. As you know, we held Doggy Day Out Orlando to benefit Harbor House of Central Florida and its new Paws for Peace Kennel! They are almost ready! The kennel opens in December. We are trying to raise as much money as possible for it. If you can donate, please go to my Paws for Peace donation site... which is RIGHT HERE. Any size donation will do. Thank you ahead of time. We are walking for a great cause! 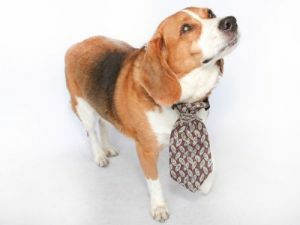 Tuson the beagle still needs a home! He is at the Seminole County Animal Services in Sanford. You can find out more about him on Petfinder. He is 7 years old, about 38 lbs., very sweet, but not good with small children. Please help him find a forever home! When we got to Barber Park Sunday for Doggy Day Out Orlando, we didn't know what to expect, Lulu and I. We had put out a lot of fliers, tweeted lots, got our friends at News 13 to talk about it. But would people show up, and would they donate? People started showing up before we were even ready. Folks came with all kinds of dogs -- poodles, beagles, pugs, corgies, westies. And they brought all kinds of things for the Paws for Peace kennel -- food, treats, leashes, toys, even a pet carrier! I want to thank all the wonderful people who made this possible. My friends Rachael Singer, Jenevieve Jackson and Brian Wilson for all their help at the event and with the event. News 13's Allison Walker, Brett Rosner and Ybeth Bruzual for helping spread the word. And Ybeth's mom for her goodies, they were a big hit! Special thanks to Audra Turner and Joshua Perry at Orange County Parks and Recreation for helping me make this happen at Barber Park. Now I'm working on getting the donations to Harbor House of Central Florida for their new Paws for Peace Kennel, opening in December. I think we will definitely try to do this again. I am humbled by the turn out. Thanks again! Going to Barkworld! What should Lulu wear? This coming week is a big week. 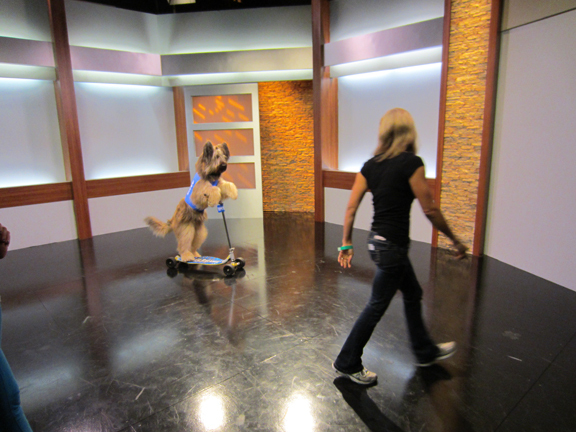 We're going to BarkWorld Expo! Four days of meet pet companies and pet bloggers and dogs and cats and other people who can help make our blog bigger and better. Sponsors including everybody from Petco to Natural Balance to ASPCA to Modern Dog magazine. The whole bash kicks off with a Halloween "Pawty" this Thursday night.There's an appearance by Norman the Scooter Dog. Norman is the latest member of the Tillman and Friends team over at Natural Balance. This is him at the KTLA studios. I have to admit I'm a little nervous about Lulu seeing Norman. She barks at kids on skateboards, riding bikes, riding in golf carts. Seeing a dog on a scooter might make her head explode. 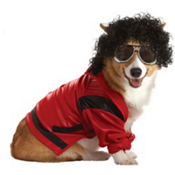 There will also be treats for humans and pets, and prizes for the best costume, funniest costume, etc. So the question is, what should Lulu's costume be? And I'm not just dressing Lulu, I'm dressing Lulu's pal Cappy the long-haired dachshund. So I need costumes for both. This just makes perfect sense. We live in Central Florida. I've been to Kennedy Space Center. Lulu is a total space cadet. And to boot, my niece thinks Cappy should be either an astronaut or a goose. 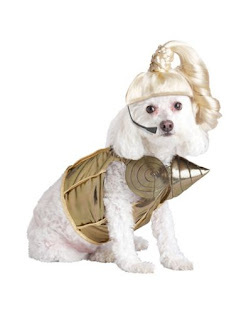 So we could have our own space team ready for blast off. This would be cruel but hilarious. Lulu loves chasing squirrels. Now she can be one! This is one of my favorites. 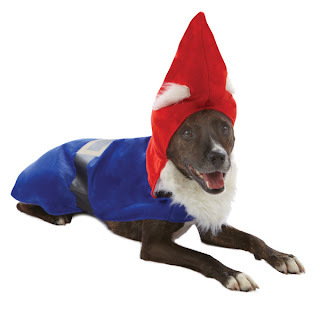 Plush gnome from PetSmart. I just think this is hysterical. From the Spirit Halloween store. One for Lulu, one for Cappy? I dunno what Dad would think. These are from Party City. Out of all the Star Wars costumes, it's the awesomest I've seen. Only seen it at Party City. So, which costume do you think? Do you have other ideas? Let me know! Natural Balance is doing a special contest for posts. The more comments I get, the more chances I have to win money for a charity of my choice! So please comment after you read this. Uh no, Lulu, that's not for you. That's from Woof Gang Bakery in Winter Park. 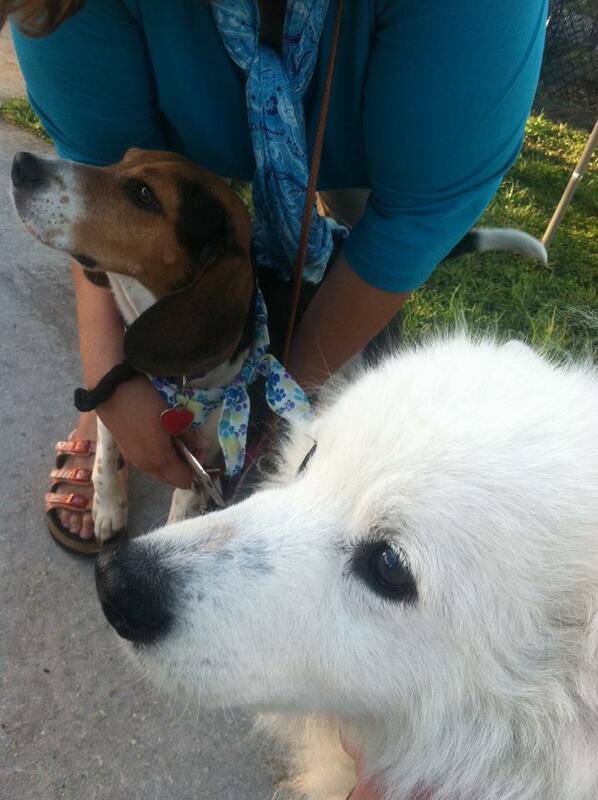 It's for Doggy Day Out Orlando this Sunday from 4-6 p.m. at Barber Park. Remember? We're going to meet doggies and collect pet items for Harbor House's new shelter. That's not for you either. That's for the event too. It's from Pookie's Bakery in Winter Park. And this one were donated by Painting with a Twist in Orlando for Doggy Day Out. They also gave us two gift cards. And this is from Tijuana Flats' Just in Queso Foundation. It's a gift card for the humans. And this gift card is from Pine Twenty 2 in Orlando. We also have prizes from Rick's Dog Deli, Orlando Science Center and Sit and Stay Pet Cafe coming. And more! We need to get the humans to bring their dogs out to Barber Park Sunday from 4 to 6 p.m. If they donate pet items for Harbor House's new pet shelter, they can enter a raffle for these prizes. More information is here on our Doggy Day Out Orlando page. 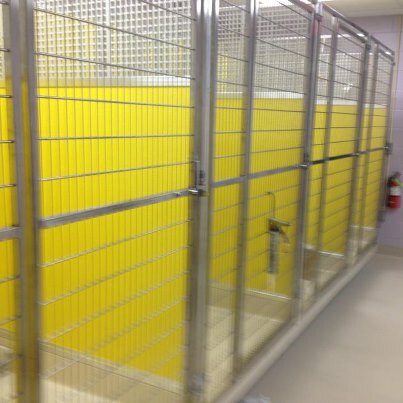 Habor House's Paws for Peace Kennel is slated to open in December. They need new pet beds, toys, bowls, leashes and high-quality canned food. 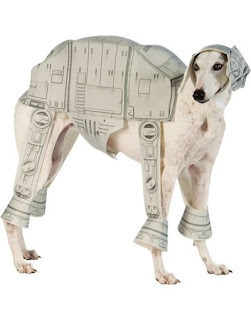 PS: We are getting more awesome prizes for Doggy Day Out Orlando! Check out the updated list on the Doggy Day Out page, spread the word, and come out if you can this Sunday from 4 p.m. to 6 p.m. at Barber Park in Orlando. Meet other pet owners and help Harbor House of Central Florida. Go here to find out more! Have you read the Tumblr site "Text from Dog?" This extremely popular site is nothing but texts between the dog and the owner. It's hysterical. And it's so popular that the writer has apparently gotten a book deal. There are a number of sites were you can make your own funny text messages. To make this one, I used iphonetextgenerator.com, which was very easy to use. There's others too. Give it a shot! PS: If you didn't notice, I started a page for Doggy Day Out Orlando, October 21 from 4 to 6 p.m. at Barber Park in Orlando Florida. Please pass this around and help a great cause. Always be yourself. Unless you can be Bat Dog. Always be Bat Dog. PS: Lulu is still on the board in the Modern Dog magazine photo contest. If you can, please go and vote for her. You can vote daily, so if you've already voted, please vote again! The last couple of weeks Lulu and I have had the privilege of meeting some neat people at events here in Orlando. And what we've learned is some people are making amazing local products here in our own backyard. Lulu and I won this designer collar at in a Barktoberfest raffle two weeks ago benefiting the Animal Welfare Alliance of Central Florida. The collar was by Bentley's Custom Collars. Nicole Bentley lets use pick from a variety of fabrics she had on hand, and makes them to your dog's specifications. Just head to her FaceBook page, choose a size, and a fabric choice from the photo album, and send her an email. Rick's Dog Deli makes food and treats using whole foods. 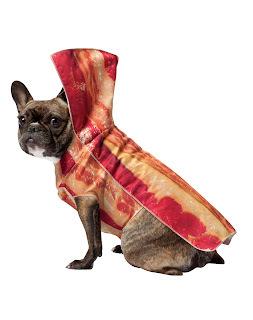 They also make food to your pet's specifications -- breed, age, size, conditions, etc. You should see the print out they gave me for Lulu. They gave me some samples of their chicken and rice mix. We haven't tried those yet, but these liver brownies they gave us to sample have become a favorite of Lulu's. Check out their website, or their store on Corrine Drive in Orlando. Then there's Pookie's Bakery in Winter Park. I got some samples of this at another Barktoberfest last week, this time benefiting Orange County Animal Services. They bake treats in-house, and have an assortment of big company pet products. Then there's Dog House Parties. They make custom party packs for pets! Whether it's a birthday party, a welcome to your new home party, or even a baby shower! They'll help you custom design your party kits, and even help you plan if you want. And these are just a few of the pet services you can find in Central Florida. If you're looking for more check out Urban Pet magazine. This free magazine is full of tips, ads and reviews for Orlando pet living. It can be found at shops, vet offices, groomers and other pet-related businesses all over the Central Florida area. Check it out if you see one. Got a local pet product you love? Tell us about it!